Play this limited-edition Telecaster Thinline hot, and look cool. Old-school cool meets a touch of Western bling in this elegant, double-bound, limited-edition edition of the Tele Thinling Super Deluxe. Loaded with TV Jones Classic pickups for tones that combine raw and refined, this stunning instrument also features a new twist on controls, with the tone knob housing an additional "bass cut" switch. 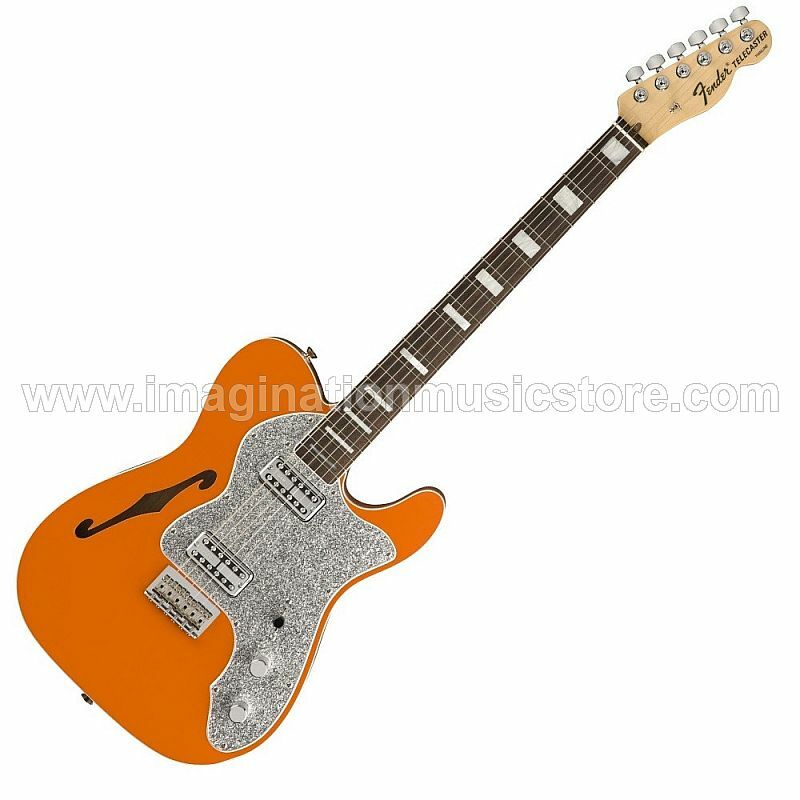 Cosmetically, the silver sparkle pickguard on the orange body hearkens back to classic guitars favored by Western Swing and early country pickers, with old-school transition logo and a thin lacquer finish topping it off. The overall sound and appearance is classic, but with a modern edge. Travel to a Parallel Universe with Fender. Order today.